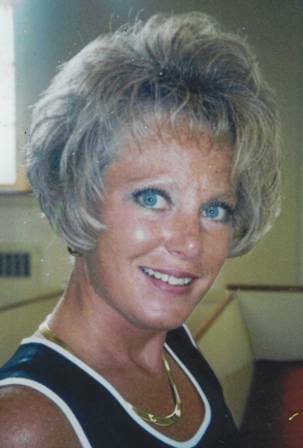 Laurie Jean Urbanski, age 55, of Woodworth Hollow, Salamanca, New York, died Tuesday, July 30, 2013 at her home following a long illness. Born August 3, 1957, in Salamanca, New York, she was the daughter of Juanita Keenen and the late Thomas Keenen. She was married on April 11, 1980 in the former St. Patrick's Church in Salamanca, New York to Mr. Dennis Urbanski, who survives. Laurie was employed with the CCSE Federal Credit Union in Salamanca, New York for almost 30 years as manager. She had previously worked at the HUB and Cattaraugus County Bank in Little Valley, New York. She was a member of Our Lady of Peace Parish and attended the Free Methodist Church in Salamanca. Laurie's life was about her two boys, her husband, her grandson, and family. Laurie loved being with family. Being at home was special to her, whether it was working on her flowers, being by the pool, or just cuddled up with a blanket watching her favorite show. Although, on occasion, you may have seen her at the "baby casino" playing pennies. Laurie also enjoyed fashion, shopping trips, and her Thursday night bowling league. She was truly loved by many people and will be sadly missed. Surviving besides her husband and mother are: 2 sons, Jason (Holly Edwards) Urbanski and Jordan (Amanda Spaulding) Urbanski, both of Salamanca, NY; 1 grandson, Cole Urbanski, Salamanca, NY; 1 sister, Ann Keenen, Prescott Valley, AZ; 4 brothers, Matthew (Monya) Keenen, Houston, TX, Bernard (Barbara) Keenen, Girand, PA, Dr. Charles (Gail) Keenen, Elbridge, NY, Kevin (Sonya) Keenen, Little Valley, NY; several nieces and nephews. A memorial mass will be held in Our Lady of Peace Parish on Saturday, August 10, 2013 at 10 a.m. with Rev. Patrick Melfi officiating.